Volvo is on a continuing mission to make cars safer and reduce the number of deaths on our roads. By 2020, the Swedish automaker wants no-one to be killed or seriously injured in a new Volvo car. To help the company achieve this ambitious target, Volvo has announced it will limit the top speed on all its cars to 110 mph from 2020 as the automaker believes that safety technology alone will not reduce deaths or injuries. 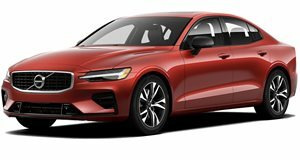 Another factor that led to Volvo’s decision to restrict the top speed of all its new models is that in-car safety technology is no longer enough to prevent severe injuries and deaths in the event of an accident above certain speeds. Speeding remains one of the most common reasons for fatalities in traffic. According to the National Highway and Traffic Safety Administration, 25 percent of all traffic fatalities in the US in 2017 were caused by speeding. "Volvo is a leader in safety: we always have been and we always will be,” said Håkan Samuelsson, president and chief executive of Volvo. "Because of our research we know where the problem areas are when it comes to ending serious injuries and fatalities in our cars. And while a speed limitation is not a cure-all, it’s worth doing if we can even save one life." Volvo is also investigating how a combination of smart speed control and geofencing technology could automatically limit speeds around schools and hospitals in the future. In addition to speeding, the automaker also recognizes intoxication and driver distraction as two other main causes for injuries and fatalities on roads. Volvo will be presenting ideas to tackle these problems at a special safety event in Gothenburg, Sweden, on March 20th.